Just wondering what everyone is using for luggage on the street 500/750s. I have the swing arm bag (that I found from this forum) and the HD sissybar backpack. I would like to get some throw over saddlebags. The supports seem to be hard to find ...more bolts ets. I have the HD luggage rack. Has anyone used throw over saddlebags without the supports with success? I don’t like carrying backpacks... 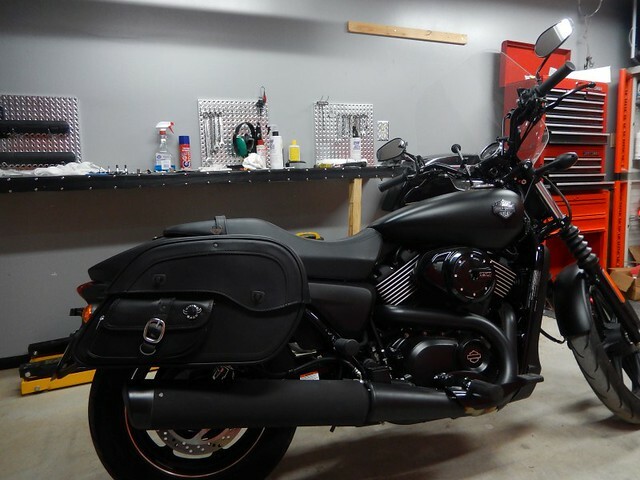 I am also looking at the Saddlemen TS 3200S Deluxe Sport tail bag. Anyone use those on a street? The HD saddlebags for the street looks like something a kid would take to school. Not interested in them. Got out today for a long ride in Colorado. Man this winter has su*&^. Felt good to be in the wind. Scan through the forum for "Sari guards" as these have been found to be effective in preventing the saddle bags going into the wheel areas. I purchased the saree guards (PN 60300091A/60300092A for right and left) from Surdyke.com, but with the part numbers you can probably get them from any online H-D parts place or your local chapel. They are perhaps overbuilt and heavier than needed for saddle bag supports, but they do the job for about $50. They replace a spacer that is beneath the rear fender support strut. There are some generic saddle bag supports out there that have three bars with pivoting links between them. At the time I could only find those in chrome and I wanted black, so went with the saree guards. Over those I have some Motocentric brand throw over saddle bags that I got on closeout from Cycle Gear. They are black cordura nylon that doesn't seem to add or subtract from the looks of the bike. I can fit what I need for a weekend away in them, including my CPAP machine if I don't use the normal carrying case. In addition to that I have an Iron Rider brand trunk type bag. Something similar is available from Saddleman. This straps to the luggage rack. 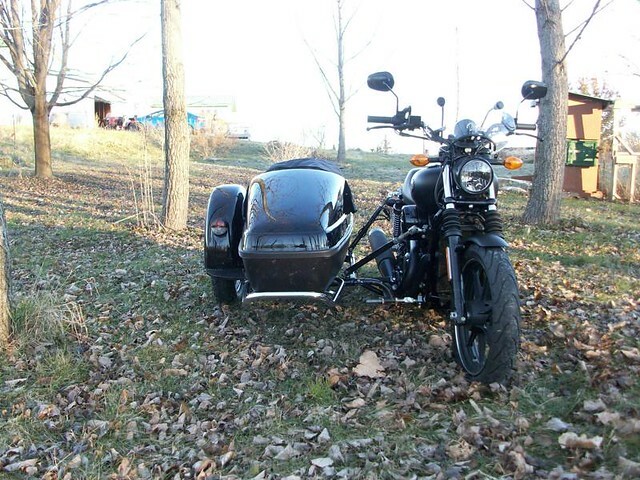 Do you have the HD luggage rack with the docking hardware? I am wondering if the parts you described will fit with the HD docking hardware. Never mind... I watched a video with the saddlebag supports being installed. I am hoping to order them from my dealer on Sat. Thanks so much for the help street fans! Thanks everyone! Just got back from the dealer where I ordered the sorry guards and shock tool. Thanks to COwanderlust, Propnut and Pugslycat for all the info. The parts were available and will get here (hopefully) next week. Now I’m looking at saddlebags. I am entertaing an OD webbing for the sorry guard and maybe using my voodoo BOB’s on the racks. Thanks again ...Street Fans Rule! How much you want to carry? It did have Viking bags on it . Low cost they worked well. Clavinavi and 8831lee like this. Last edited by smitty901; 04-02-2019 at 06:37 PM. I don't know smitty901... just basic rain gear, some tools, bug out stuff. Those viking bags look great on your bike. I checked their site and they say that all the bags for the street are out of stock. Did your bags come with a yoke or did you have to hard mount them?